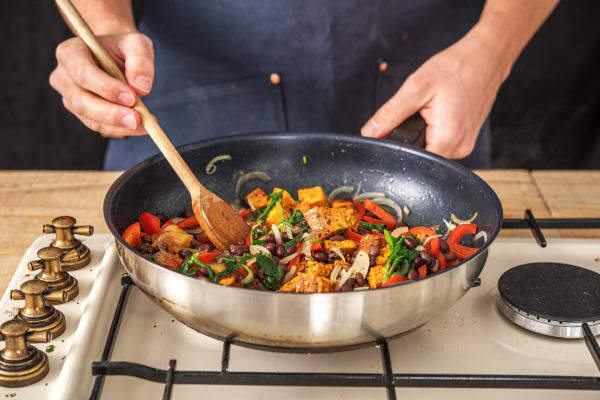 This warming vegetarian recipe is packed with nourishing ingredients, making it a great thing to enjoy when you’re feeling a little run down. 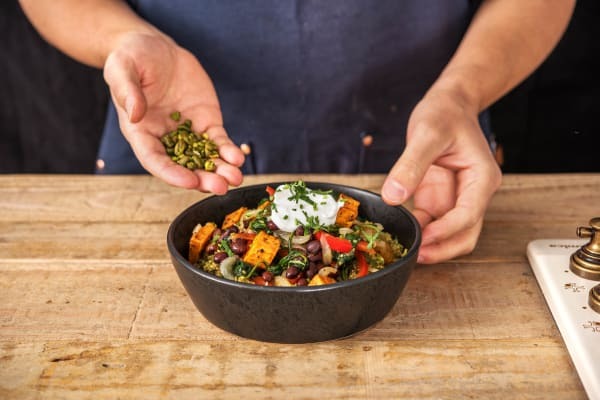 Roasted sweet potato and red peppers are seasoned with our special Pasanda style spice blend, before being combined with a hearty mix of black beans, fresh herbs and spinach. Piled high on a bed of quinoa, and finished off with a dollop of yoghurt and crushed pistachios, the textures and flavours in this beautiful bowlful won’t disappoint. Preheat your oven to 200°C. 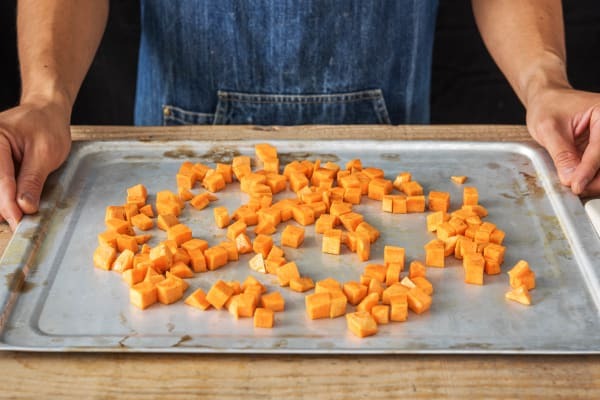 Arrange the diced sweet potato on a baking tray. Drizzle on a splash of oil, season with salt, pepper and half the pasanda seasoning. Use your hands to rub the flavours over the sweet potato. Lay out in one even layer and roast on the top shelf of your oven until soft and golden, 15-20 mins. Turn halfway through cooking. 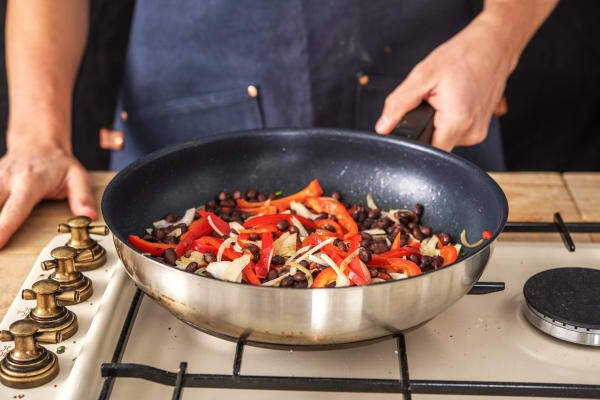 Bring the water (see ingredients for amount) to the boil in a large saucepan over high heat. When boiling, stir in and dissolve the stock powder. Stir in the quinoa and remaining pasanda spice and bring back to the boil. 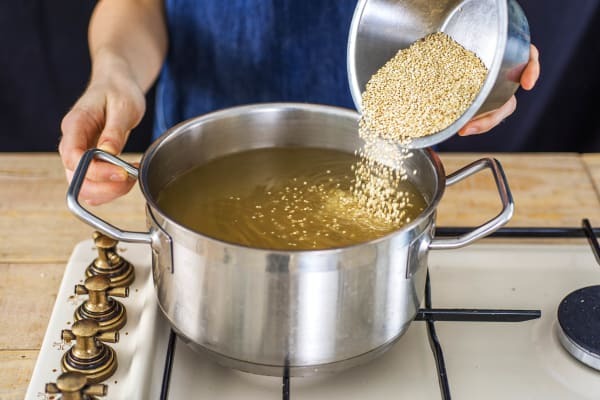 Lower the heat and simmer until the quinoa has doubled in size and the seed has visibly split, 12-15 mins. Drain into a sieve and return to the pan off the heat. Cover with a lid and set aside. Meanwhile, halve the pepper, remove the core and seeds then slice thinly. Halve, peel and thinly slice the onion. Roughly chop the coriander (stalks and all). Drain and rinse the black beans in the sieve. Remove the pistachios from their shells, discard the shells and roughly chop the nuts. Halve the lemon. Heat a splash of oil in a frying pan over medium-high heat. When hot, add the onion and pepper and stir-fry until softened, 5 mins. 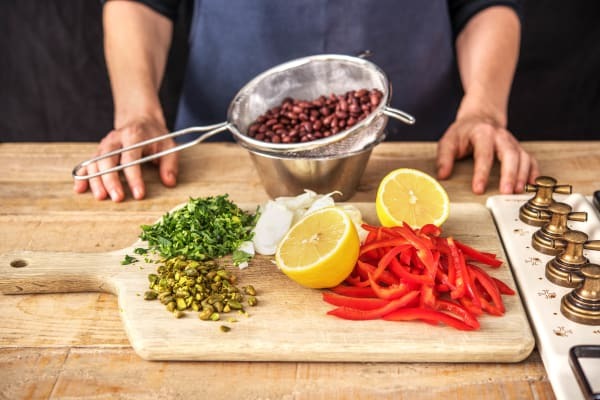 After 5 mins, add the black beans and warm through. Stir in and wilt the baby spinach a handful at a time, this will take another 2-3 mins. When the spinach is wilted, stir in the mango chutney and remove from the heat. Carefully mix in the sweet potato. Season to taste with salt, pepper and a squeeze of lemon juice. Get ready to serve. Fluff the quinoa up with a fork and season with salt, pepper, a squeeze of lemon juice and half the coriander. 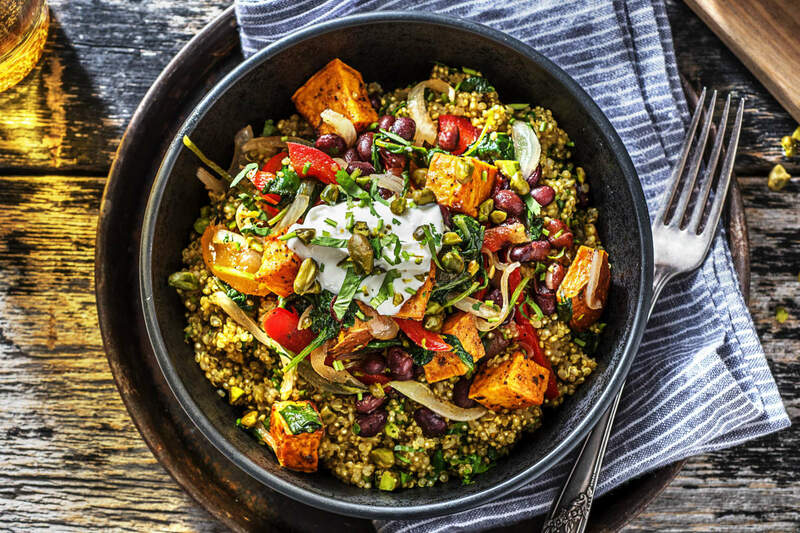 Share the quinoa between your bowls. Top with the veggies and finish with small dollops of Greek yoghurt and a sprinkling of pistachios and the remaining coriander. Enjoy!